So far this season we have gotten a few really personal stories, like Rossi and Krystall’s relationship becoming more romantic again and seeing the after effects to when Kristy was held hostage and how their son David is reacting to his dad having a dangerous job. We may have a shorter episode order on this season of Criminal Minds, but the stories are just as strong as they ever were when it comes to the UnSubs and they’ve upped their game with the personal stories about the team! We know that there are a lot of people out there that enjoy this show for it’s TV comfort food feel where you can just jump into and episode at any given time without having to worry about seeing the one from the week before, but we love it when this show dives deeper into our teams lives. We are really invested in them and as much as we love seeing them solve crimes we also love seeing Rossi smile when he’s with Krystall and Matt and Kristy sharing a hug with David. Criminal Minds Video: If you missed our most recent video all about the big Luke episode coming up you can check that out below. 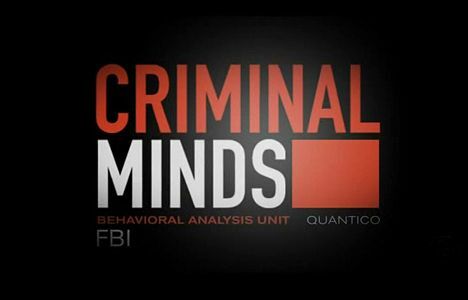 Subscribe to our CarterMatt You Tube channel for more and take a look at our Criminal Minds playlist. We will be bringing you videos all about the show all season long so make sure you don’t miss out! Tonight we are getting a Garcia story which we love since we haven’t had a really deep story about her background since everything happened with her stepbrother Carlos. If you remember he asked her to give a victim impact statement against the man that killed their parents, but after learning more and spending time with this man she decided to give her statement, but it wasn’t what Carlos wanted and instead helped this man regain his freedom. This move really drove a wedge between her and her step brother. This episode kicked off with Garcia seemingly frazzled in her office (more so then normal) where she dropped and broke her favorite unicorn mug in from of Prentiss (for the record we also have a unicorn mug cause unicorns are awesome). Garcia tried to play it off as no big deal and threw it out, but Prentiss could tell that something more was happening and later scooped the broken mug out of the trash to glue back together for her. Not only that but Garcia is usually spot on with all of her analysis work – tonight though she missed something that she normally would’ve caught. So what’s going on with her? She says that she’s still trying to work through her feelings over being abducted – Prentiss on the other hand calls it out for being more then that, saying that everything that happened with her stepbrother and reliving her parents being killed is a lot to all compound on her. Garcia admits that Carlos still hasn’t spoken to her and her heart breaks every day over it. When Rossi and Prentiss contact Carlos and tell him what happened to Garcia and how much it would help her if he would come and speak to her it was another reminder of how much more this team is then just co-workers. They really are a family that loves each other. Speaking of families that love each other, watching Penelope and Carlos talk things out and seal the end of their anger with a hug was easily the highlight of the episode. Related – Be sure to check out our recent interview with Daniel Henney! The one thing we have really loved about this season of Criminal Minds is that when traumatic things happen to people (like Kristy and Garcia) they aren’t just forgotten about moving into the next episodes – they have long lasting effects like they would on people in real life. Kristy being held hostage happened last season and it’s still effecting her and what happened with Garcia wasn’t going to just go away either. Garcia is not someone that is going to just bounce back from something like this so it was good to see it addressed tonight and even better to see her have her stepbrother help her through it.